Have you noticed children while they are playing? They are often so engrossed in what they are doing and they seem to be in another world. We hear so much about mindfulness these days. Well, all the gadgets we invented supposedly to make our lives easier are also making us focus less and less. We are often haunted by the thoughts of new notifications and are forced by habit, to check them constantly to make sure we are not missing out on anything. This has also made us forget to enjoy what is happening “in the moment”. 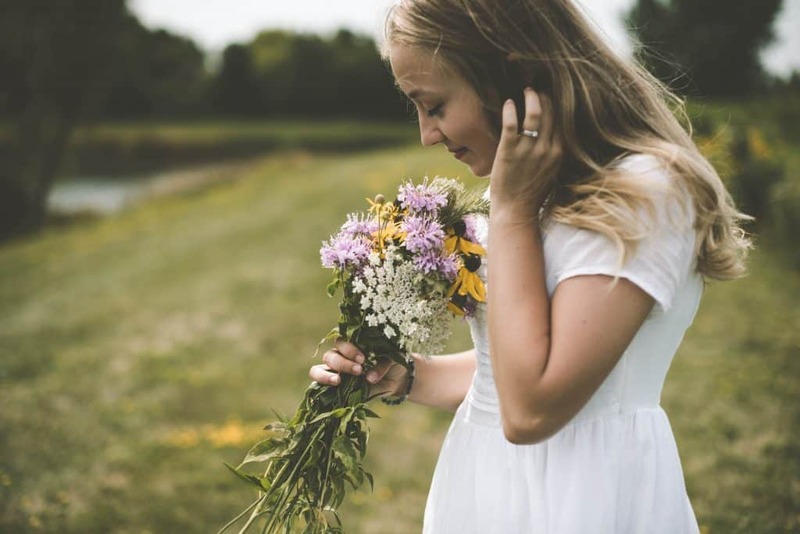 Like, the sensation under your feet when you step on freshly mowed grass, the pleasant smell of the flower that bloomed in your garden today, the unexpected kiss your daughter gave you when you were busy in the kitchen. Have you realized we don’t need big achievements in life to be truly happy? We often spend our days worrying about what to do next in life and the next big thing you wanna achieve. Little things that happen in our day are enough to make us happy. But the key is in noticing it and appreciating it. This can happen when you are mindful. Mindfulness is being fully present, and being aware of what you are doing at the moment. You bring your full attention to what you are doing at the moment, not letting your mind wander. When it wanders, you are aware of it and you gently bring it back to what you are focusing on, without judgment. But as a beginner, you will find it not as easy as it seems. Your attention drifts without you knowing and realize it after a while. But you will get better with practice. Mindfulness has a lot of benefits for your overall well-being. It could easily be another blog post (maybe in future). But here are a few important points. We have a lot of things to cross off our to-do list every day. It would be simple if we could finish one by one easily. But I find that whenever I am ready to do a task, I am reminded of something else that needs to be done. It makes me anxious because it is unfinished. Then I feel the stress rising. I am not able to concentrate on the current task. In such moments, I do a mindfulness meditation exercise (read below to see how to do it). It calms my mind and helps me relax. I am able to concentrate on the task at hand better. 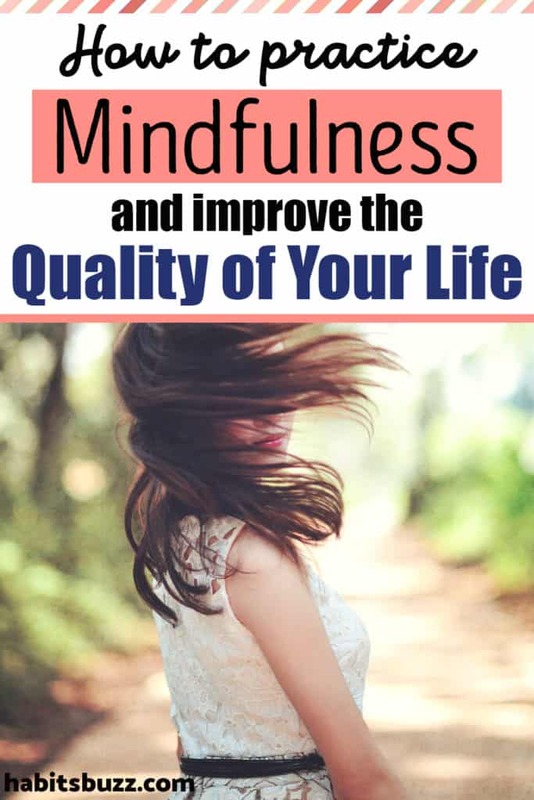 Mindfulness helps you increase focus and concentration because you are making an effort to bring your attention to the present moment repeatedly. It even has the power to change your brain. 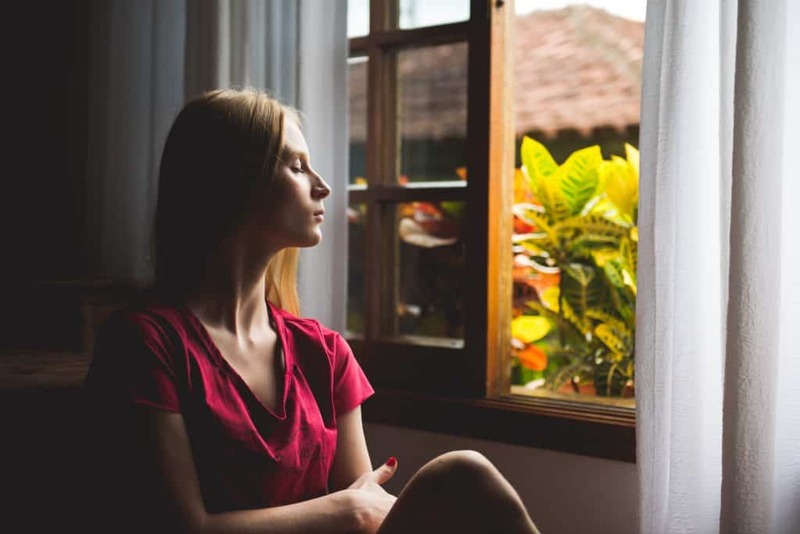 The effect of mindfulness practice can last long even when you are not consciously doing it because new neuron connections are formed through neuroplasticity. When you practice mindfulness you are more aware of your thoughts. Thus, if any thought comes up that gives you stress you try to acknowledge it. You say to yourself “Ok. This is stressing me out. Back to the task”. So you get to respond to your thoughts rather than being controlled by it. You can choose to step back from them as you are mindful of your emotional state. You acknowledge your thoughts and you are able to respond rather than react to it. Research has proved that our brain has the ability to influence the body’s inflammatory responses. Our brain and immune system are interconnected. Mindfulness meditation can be used as a pathway to train our brain to control stress reaction and prevent a lot of stress based diseases. It also improves your memory retention, promotes heart health, improves the quality of sleep, etc. But how do you become more mindful? How to incorporate mindfulness in daily life? Read on. How to start practicing mindfulness as a beginner? Contrary to what many people think, mindfulness is not emptying your mind so that you think nothing. It is listening to your thoughts and sensations without getting emotional, without judging them. Here are some mindfulness exercises to start with. You can start to practice mindfulness right now. There are no rules to be mindful. For example, as you are reading this article, try to be mindful. Stop and notice how your eyeballs are moving towards your right. Slow down and notice how you can see each letter, notice the shape of each letter. Notice how your finger touches the screen or your trackpad or the arrow buttons. Feel the sensation on the tip of your fingers as you touch the device. Notice the white colour in the background. Read each word and listen to your mind pronouncing each word. How do you feel? If you have really stopped to do it, I bet you are feeling more relaxed and calm. This is what mindfulness can do to you. You feel an instant calm, your mood lightened and feel happy. And you don’t feel the rush to finish the article already. It is an escape from the inner chaos. You can apply this to practically anything you do. Just stop for a minute or two to be really present and aware of what you do. Notice how each of your foot feels when they touch the ground. Is the floor cold? Or warm? Feel how you are able to lift each leg easily and put one before the other. How your legs balance the weight of your body easily. How you reach from point A to point B. Feel thankful for how you are able to carry yourself to everywhere you want to go. You can apply this to everything you do in daily life. But it doesn’t mean you have to be mindful in everything you do. We do many things on autopilot because those are habits established over the years. It’s for our benefit and ease. You practice mindfulness because sometimes you need to remind yourselves of the beauty of little things and appreciate what we are able to do. Mindfulness meditation is the most popular way of practicing mindfulness. In mindfulness meditation, you pay attention to your breathing. How you take a breath, how you release it, and how your chest or stomach is filled with breath and how it deflates. How to do mindfulness meditation? Choose a quiet place to sit. 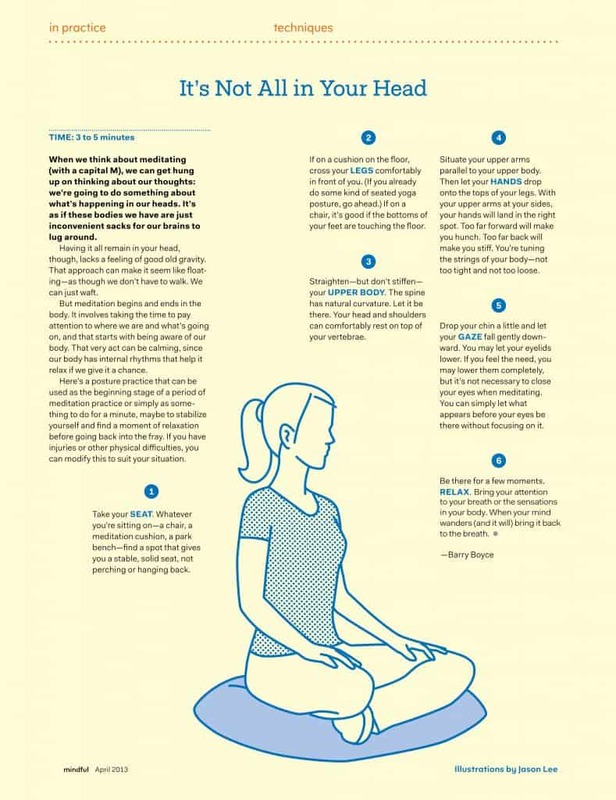 You can sit in any position you like, be it lotus pose (cross-legged sitting) or simply sit in a chair. Sit in an erect position. Now before jumping to start meditation, give yourself some time to relax. Let your mind settle and get ready. Take a few deep breaths. Set a timer. I would recommend starting with 2-5 minutes. But, it’s upon you. When your mind wanders, gently bring it back to focus on breathing again without judgment or feeling despair. Slowly increase the duration over the days, according to your capability. Many of us are used to eating while watching television or Netflix. We eat mindlessly and we forget how much we really need to eat and even forget to relish the taste of the food we eat. Mindful eating focuses on enjoying all the aspects of the food you are eating. Its taste, flavor, texture and you are aware of how you feel while eating. 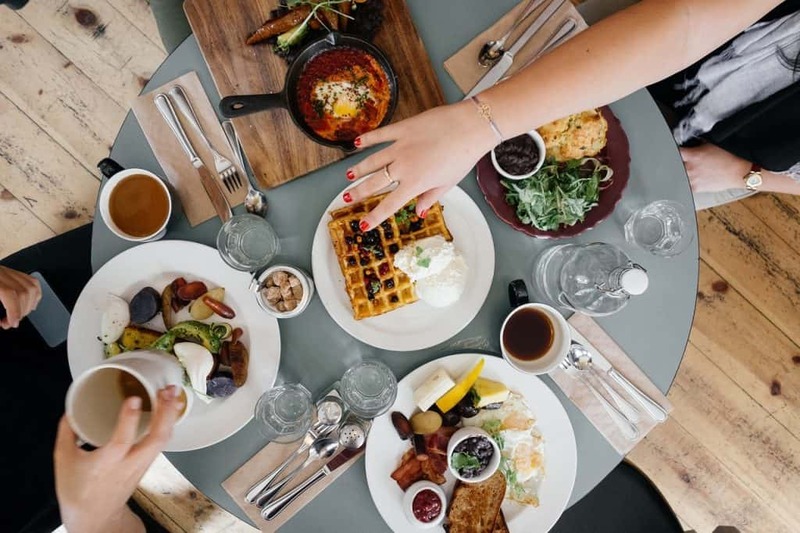 Eat when you are only hungry and not on visual cues. Keep the distractions away (TV, computer, smartphones, books). Chew the food slowly and thoroughly before swallowing down. Appreciate the taste of the food. Appreciate how lucky you are for having food on the table. Stop eating when you are full. Please know that after you are full, even one morsel of food that you eat leads to overeating and gain weight. It takes up to 20 minutes for our brains to send the message of satiety. So if you are used to eating fast and mindlessly you must be eating more than you require all the time. For this reason, mindful eating helps in losing weight, because you are aware of what and how much you eat. You get to control the quantity. These exercises are enough to start your mindfulness journey. Start small and try to do them at least once a day. You don’t have to dedicate separate time for it, but do it while you carry on with daily life. 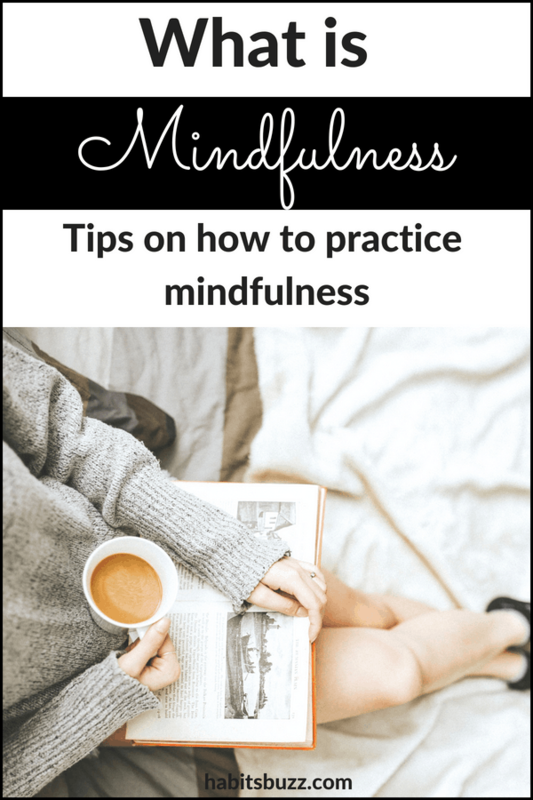 I’d love to know, how do you practice mindfulness? Please comment below. And also, if you like what you are reading, please take a moment to PIN and SHARE this post! Unlike what many think, meditation is not meant only for the spiritual people. Instant connectivity to anyone around the world, and the ability to bring any information you want on your screens just by typing a few words onto your devices have reduced the size of our world. But what has it done to our inner connectivity? Are we really in sync with our inner self or just distracted every few seconds? For most of the people, any time they take a break from an activity, their hands automatically reach for the phone. And it shows distraction to the core. Do you want to live a more fulfilling life? Meditation could be the key to it. I am all for habits that can positively enhance your life and help achieve the success you deserve. And I have found that meditation is one such habit that can change your life in a dramatic way. 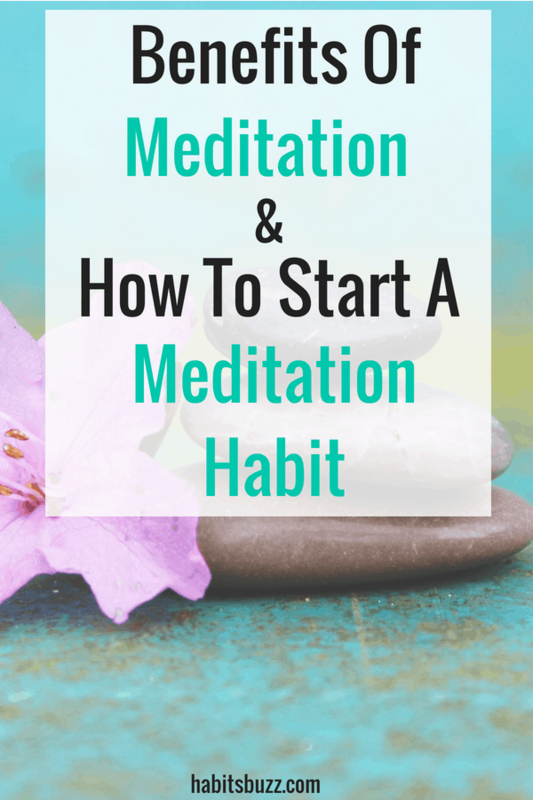 Let me explain what meditation is and how to start a meditation habit that can help to change your life. Meditation is a science. It is training your mind to be still, to be conscious of the present moment and focusing inwardly by warding away the incessant mental chatter. Even though you are awake and fully aware of your surroundings, you choose to focus inward. You do not allow your mind to let anything else disturb your focus. Who wouldn’t want to escape the stress of daily life and experience calm? Mastering your mind is essential to achieve success and meditation is a tool that will help. This ancient method developed centuries ago in India, helps us to gain control of the mind and produce a sense of well-being. Meditation is a key to positive thinking. The more often and the more deeply you enter into the simple silence of profound meditation, the more you return to your natural state of balance. 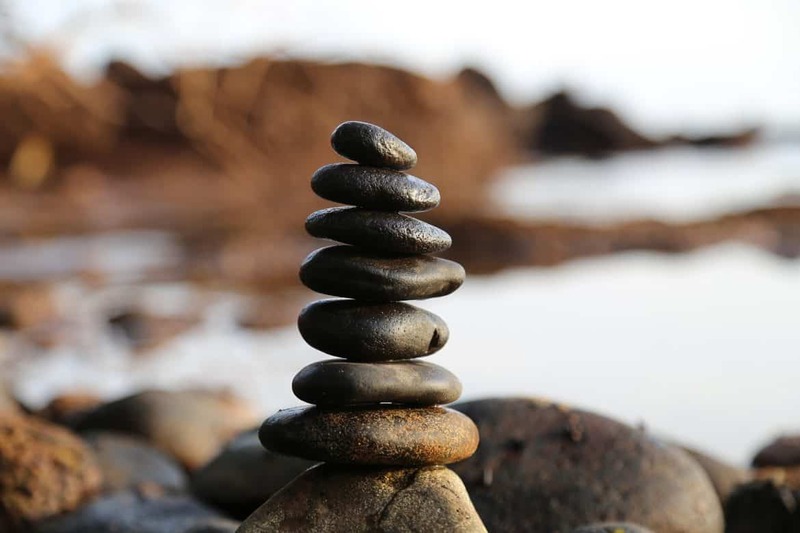 The more balanced you are, the more it seems you connect with your own inner wisdom and all it has to offer. This is another reason to recommend you maintain a regular practice of meditation. There are different types of meditation. Meditation is nothing but observing your thoughts passively. You can focus on any outside object or simply observe your thoughts. You observe your thoughts and feelings coming and go, detached from them. When you make it a daily practice, you can gradually see changes in your life as well. You don’t react to situations as you used to. When something or someone angers you, you tend to observe your thoughts calmly. It raises awareness of how you are feeling in a moment and stay detached from any negative feeling. But unlike common perception, meditation doesn’t make you feelingless, it simply makes you more in control of your emotions. Often when we react in the heat of the moment, we tend to say things that we don’t mean to. And the worst thing is, we can’t take them back once they are out in the air. Imagine how good you will feel if you can remain calm in most negative situations. Mediation gives exactly that. Researchers have proved that meditation changes the response of amygdala (a part of the brain highly involved with different emotional responses). It has been proved before that the response of amygdala to emotional stimuli is lower when a person is in a mindful meditative state. But this study took it further and has proved that amygdala response to emotional stimuli is lower even when a person is in a non-meditative state. In short, meditation affects the way our brain processes emotions even when we are not meditating. It has a long-term effect on our emotional responses. It also increases immunity and slows ageing. These are enough reasons to start meditation today. But I can hear you. Are you saying that you don’t have enough time to meditate? Or maybe don’t know how to make it a habit. 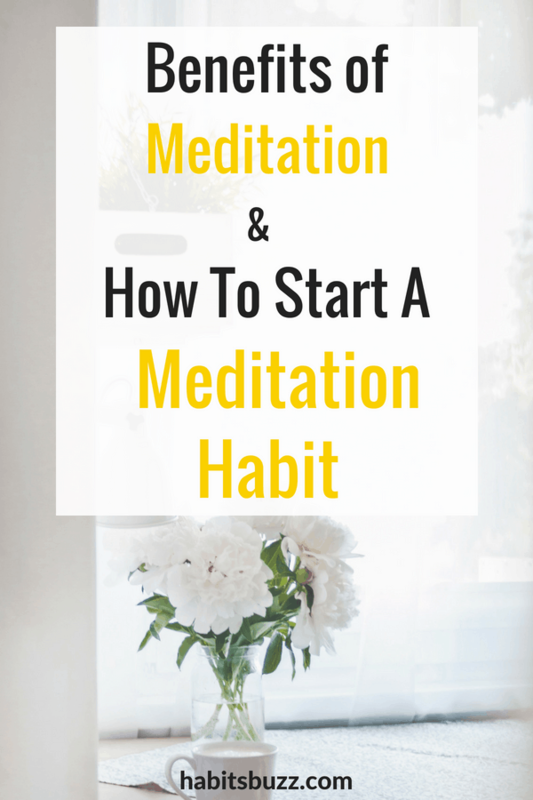 How to start a meditation habit from scratch? If you are a person who has never meditated in life, you can start easily like this. All you need is two things: a quiet place and 2-3 minutes. You can try this even while you are reading this, now! Though there are different types of meditation, I am talking about mindfulness meditation here. This is what I practice and my favorite. And it is an easy one to begin with. Choose a posture you are comfortable with. You can either sit on a chair or on a cushion on the floor with folded legs. Different kinds of meditation cushions are available in the market today. But if you are a beginner I suggest sitting on a chair. You can even lie down on your back, but only if you’re sure you won’t sleep. This infographic below will help in getting your posture right. Now, pull out your phone or any timer and set a timer for 2 minutes. Start focusing on your breath. Take note of each inhale and exhale. Notice how you take breaths. When your mind wanders, gently bring back your attention to breathing. No judgement here or frustration for lack of focus. Try to stay present with your breathing, not forcefully but gently. When you catch yourself thinking something else, acknowledge it, but don’t judge. This teaches you to observe your thoughts even when you are not meditating and helps you see things from different perspectives. And it also helps you attain that calm before reacting aggressively to different situations. Our goal here is to be aware of whatever thought that comes to mind, not removing them. How to make meditation a habit? Choose a time when you can practice daily. And set a reminder to do it daily. Start with 2-3 minutes. Be consistent with the practice and slowly increase the time duration. Choosing a small time duration will help you in establishing the habit. And also, in the beginning, you might not be able to focus for 10 minutes or more. It is better if you choose a particular time every day and stick with it. It will help you remember the new habit. When you are trying to form a new habit, there is a possibility of forgetting to do it. Especially if there is no cue associated with it to remind you. I do my meditation practice right after journaling at night. So writing in my journal is my cue here. 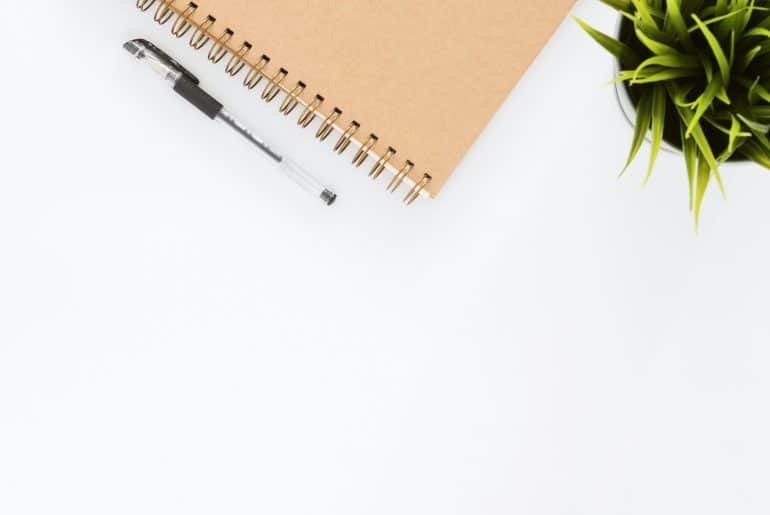 You can also keep visual reminders by writing on post-it notes and sticking on your fridge or mirror; the places you are likely to pass by daily. There you are, you have enough information to start a meditation routine. What are the challenges you face while meditating? Or even when trying to establish any habit? Let me know about it in the comments below.